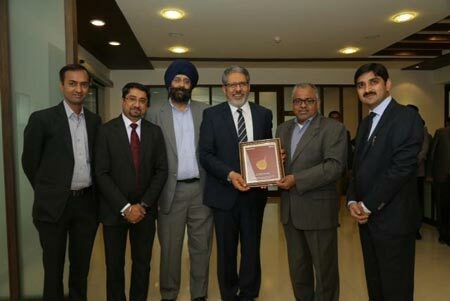 Intellect Design Arena Limited, the world’s first full-spectrum banking and financial products company for the digital age, today announced that Capital Small Finance Bank Limited, India’s first Small Finance Bank, has selected Intellect as its technology partner to drive its Digital Technology Transformation program. Intellect’s integrated digital offerings will enable Capital Small Finance Bank to revamp its IT landscape and provide its customers with customized products and a world-class banking experience across all channels. The bank will deploy Digital Core Banking, Trade Finance, Debt Management, e-banking, Payments, Treasury, Alerts, Tablet Banking, Smart Branch, Liquidity Management, and Anti Money Laundering (AML) from the Global Consumer Banking division of Intellect. Capital Small Finance Bank, after conversion from Capital Local Area Bank, started operations on April 24, 2016 as India’s 1st Small Finance Bank. It has been in operations as a local area bank for the past 16 years with prime focus on taking modern banking facilities to rural areas at low cost. It’s primary objective was to provide easy access to need based credit and reduce the local community’s dependence on moneylenders. Sarvjit Singh Samra, Managing Director, Capital Small Finance Bank: “We selected Intellect as our technology partner based on their domain strength and the rich functionality of their products. This project will accelerate our efforts to provide next-gen banking experience to more customers in rural and semi-urban areas.” The Digital Transformation Program will help Capital Small Finance Bank to improve its operational efficiency, accelerate growth through expansion and scale up quickly without worrying about the underlying infrastructure.